Corporate Office HQ - Find phone numbers, addresses and other contact information for US corporations. Founded in 1885, Raleigh Bicycles got its start when Richard Woodhead and French immigrant Paul Eugene Louis Angois, set up a small bicycle shop on Raleigh Street in Nottingham, UK. The company was incorporated in 1888 when the shop was acquired by Frank Bowden. 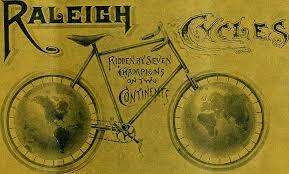 By 1913, Raleigh was the biggest bicycle company in the world. Raleigh is the oldest bicycle brand in the world. From 1921 through 1935, the company also produced motorcycles and three-wheeled vehicles. After WWII, the company was best known for making lightweight bicycles that were superior to other brands. The Raleigh Sports Roadster was exported around the world. By 2003, assembly of bicycles had ended in the UK , and bicycles were to come “from Vietnam and other centres of ‘low-cost, high-quality’ production.” The final assembly takes place in Germany. In April 2012, Raleigh UK, Canada and USA were acquired by a separate Dutch group, Accell for $100 million. The corporate office for Raleigh Bicycles in the USA is located in Kent, Washington. Question 1: What is the phone number for Raleigh Bicycles? Answer 1: The phone number for Raleigh Bicycles is (253) 395-1100. Question 2: Who is the CEO of Raleigh Bicycles? Answer 2: The CEO of Raleigh Bicycles is Chris Speyer. Question 3: Who founded Raleigh Bicycles? Answer 3: Raleigh Bicycles was founded by Frank Bowden, Richard Woodhead and Paul Angoi in 1888. Founded in 2002 originally under the name Acclaris, the company was the first Medicare Exchange when they offered Chrysler retirees to move from an expensive, private health care insurance company into the more competitive Medicare market, where plans could be individualized. Extend Health was acquired in 2012 by Willis Towers Watson for $435 million. While the name was temporarily changed to Exchange Solutions, then to OneExchange, it was changed once again in 2017 to Via Benefits. This change can be seen on the Extend Health website address. The company received a patent for its call center technology, which shortens call wait times by matching the caller’s needs with a representative best suited to help the caller. 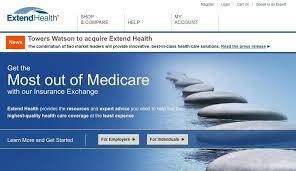 Extend Health/Via Benefits is the largest healthcare exchange in the US, with approximately 1.8 million subscribers. Consumers can choose from a broad range of the best coverage options available to them, receive comprehensive information that is clear and unbiased. The company is a member in good standing of the National Council on Aging, NCOA. Extend Health/Via Benefits currently has headquarters in San Mateo, California. Question 1: What is the phone number for Extend Health? Answer 1: The phone number for Extend Health is (650) 288-4800. Question 2: Who is the CEO of Extend Health? Answer 2: The CEO of Extend Health is John J. Haley. Question 3: Who founded Extend Health? Answer 3: Extend Health was founded by Bob Lopes in 2001.